I’m loving my Char-Broil Big Easy barbecue. The more I experiment, the more I discover how versatile it is. 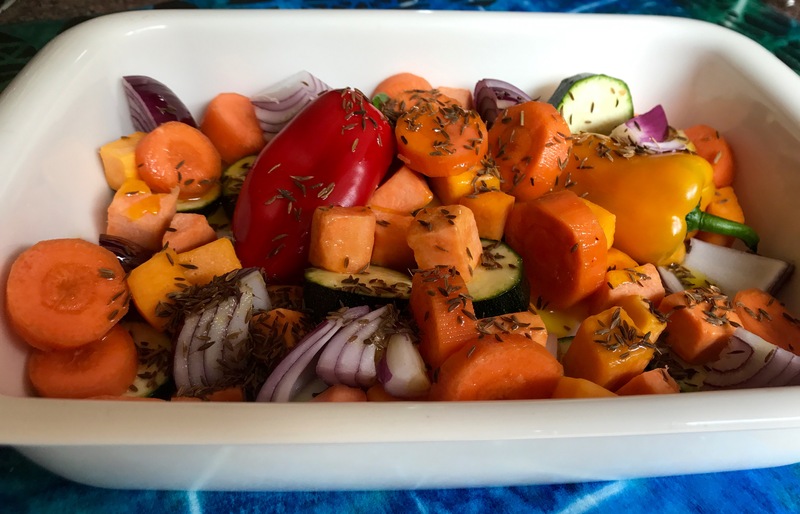 Today I’m going to make Moroccan-style roast vegetables – well it is a roaster after all. It’s a simple dish. Just make sure your veg are cut in similar size pieces – except the little peppers which I kept whole. Then douse in olive oil and cumin and you’re ready to go. I popped the roasting tray on the rack in the barbecue with the temperature on medium-high and checked them after 20 minutes – well it was my first effort roasting vegetables in my new acquisition. In the end they need around 30 minutes – quicker than in a conventional oven. Once the veg had cooled, I added the fresh mint leaves and little knobs of soft goats’ cheese on top, squeezed the juice of a lemon evenly over and added a couple of slugs of olive oil. 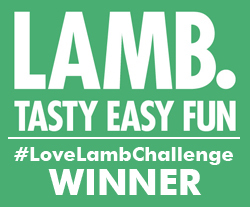 No need to transfer the veg to another dish – any excuse to save on the washing up. I love cumin and it goes perfectly with these vegetables. And also with the delicious lamb chops we bought from our local butcher around the corner. 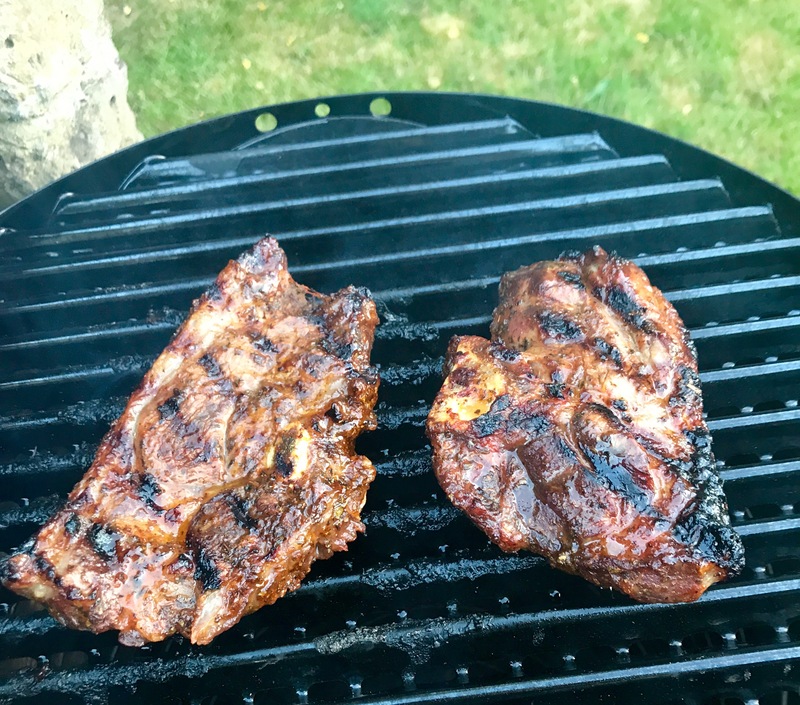 I used the grill part of the Big Easy for them – cooking for about 5 minutes on each side until they were nicely striped on the outside but still medium-rare inside. Chop up all the vegetables except for the small peppers. Toss them in the olive oil and cumin seeds in a roasting dish. Place the dish on the rack in the Char-Broil Big Easy barbecue with the temperature on medium-high. Cook for about 30 mins, checking after 20. Remove from the barbecue and leave to cool. 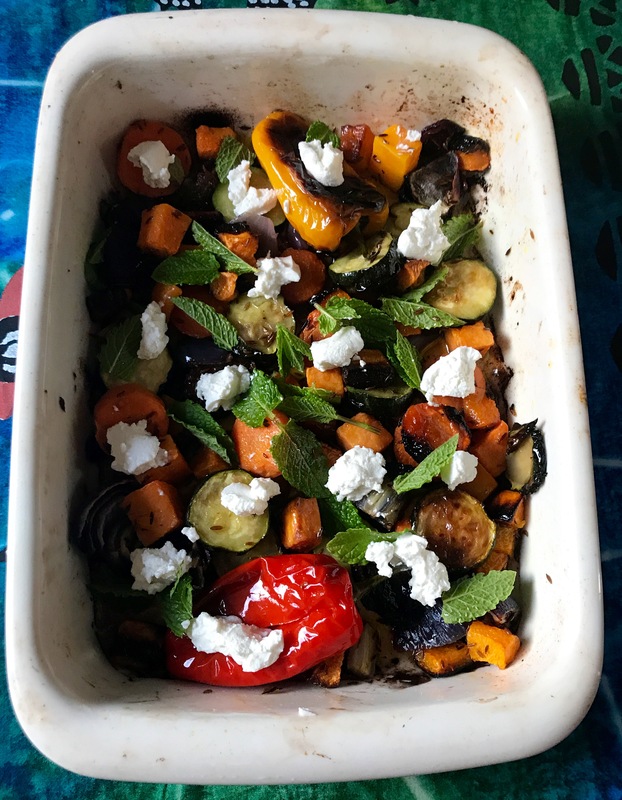 Sprinkle the mint leaves and goat’s cheese on top of the roast vegetables. Use a teaspoon to dot small pieces of the goat’s cheese over the vegetables. It adds a beautiful creaminess. Squeeze over the juice of one lemon and add a drizzle of olive oil and you’re ready to serve. Find out more about the Char-Broil range by clicking here. Next week I’ll be pursuing my self-inflicted challenge to making the perfect (well, extremely good anyway) peri peri chicken. Could cooking it on the Big Easy be the secret to success?